Most personal printers used in people's homes and offices print only letter-size and legal-size paper. 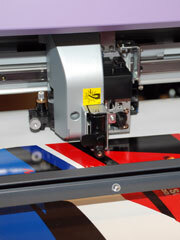 For larger items such as signs, billboards, and vinyl wraps, large-format printers are needed. These large-format printers are the focus of LargeFormatPrinters.us. This website lists the many uses for large-format printers and defines the paper sizes they typically accommodate. Links to large-format printer manufacturers and reviews are included. Captioned photos on this website include a large-format printer, a printer's printing mechanism, and a printer printhead. All information on LargeFormatPrinters.us is provided "as is." This website contains informational articles and supplier links for large-format printer products. By using this website, you agree that Zeducorp is not responsible for errors or omissions, and shall have no liability for damages of any kind, including special, indirect, or consequential damages, arising out of or resulting from any information, product, or service made available hereunder or the use or modification thereof. Thank you for visiting LargeFormatPrinters.us. We trust you have found our website useful and informative. Please consider placing a link to LargeFormatPrinters.us on your website. Simply copy the following HTML link and paste it on one of your website pages to reference this large-format printer guide. We appreciate your consideration. LargeFormatPrinters.us, a division of Zeducorp. LargeFormatPrinters.us is a Chosen Sites™ resource.